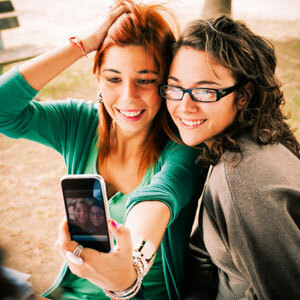 Social media has completely altered the way young people connect with their friends, and even to their world. But it might be changing much more than just their communication. Could it be changing them emotionally and relationally? And if so, for good or bad? Ditch the Label, a Britain-based anti-bullying organization, just released the findings of their annual survey in which they asked students from across the pond (ages 12-20) to gauge the impact bullying has had on them. The study, which involved over 10,000 young people, uncovered a dirty little secret about the social media platform Instagram: it’s been the most popular medium for cyberbullies to use in 2017. 42% of the students who’d been bullied said the episode(s) took place on Instagram’s picture-driven app. An additional 37% of victims claim their torture took place among the “friends” of Facebook. To those who think this is just a European problem, we need to look no further than the headlines in our own nation to know that social media is playing a big, and often detrimental, role in the lives of American young people. Jean Twenge, a professor of psychology from San Diego State, believes teens are more depressed and isolated than ever, and she fingers social media and smartphones as major culprits. Her research has shown that many of today’s kids go out on fewer dates than in years past. Accordingly, they also claim to feel lonely more often, and rates of depression and suicide have “skyrocketed” since 2011. Consider this timing for a moment. The iPhone was first announced in 2007. It took a few years, but by 2012 the US hit the 50% mark for smartphone ownership… and teens started carrying their social media with them, instead of just accessing it from a home computer. Now, 92% of 18-29 year-old US young adults own them, and three quarters of teenagers 12-17 years-old own them. In fact, the average age a child gets their first smartphone right now is 10.3 years old. That’s a lot of access early. So, what’s the connection between social media and these problems? 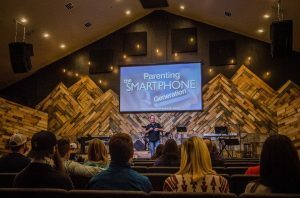 In speaking about the turbulence that every generation faces during adolescence, Dr. Twenge claims that social media gives kids a way to construct the best possible rendition of themselves for their friends to see, whether it’s actually legitimate or not. The more time kids spend looking at social media feeds of their peers, the more depressed they claim to be. “There’s not a single exception,” amongst any group says Twenge. But that may not be the only impact social media is having on the relationships of today’s kids. Citing a grim video taken by teenagers of a Florida man drowning, Dr. Tim Elmore wonders if social media is robbing this generation of their empathy. (In other words, is kids’ near constant exposure to darker events like bullying, outright violence, or unwanted sexual messages actually reducing their ability to be compassionate…or even humane?) While such tragic videos like the one from Florida are hardly frequent, the same can’t be said of videos that capture bullying or fights on school campuses. They are recorded by students, uploaded to social media sites by students, and then viewed by millions of other students. Elmore isn’t alone in his thinking. Back in 2010, the University of Michigan reported that college students of the 2000s weren’t nearly as empathetic as students from the 80s and 90s. In fact, those later students were “about 40% lower in empathy than their counterparts” based on standard tests of personality traits. Why the stark difference? Many pointed to a new player on the field, social media. 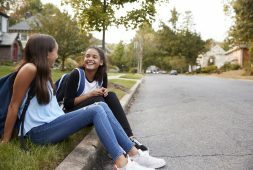 While we don’t know the full effect social media is having on kids – and may not for quite some time – we do know that its impact is shifting how young people think (on the inside) and live (on the outside). And since social media giants like SnapChat and Instagram are in a continual battle for the attention of Millennials, the impact they have on young people will probably only increase. But that doesn’t mean parents and youth workers must stand by and let social media dictate terms to our kids. Just like many other parts of life, social media requires the oversight of loving and caring adults. 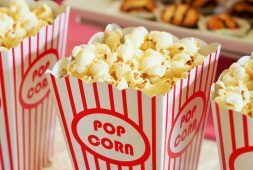 Here are a few ideas to consider. Reject the temptation to blame social media. The knee jerk reaction by too many adults is to just “blame Facebook” and move on. While that may be convenient, it doesn’t solve anything, and in fact, that mindset may even contribute to the problem. While everyone can agree that too many kids use social media in harmful ways, there are plenty of kids who use the apps responsibly. Social media is a tool that can be used…or abused. After recognizing that reality…. Make sure you’re a (major) part of their online lives. If you think you can “friend” your kid on Facebook and never look back, think again. As previously shown, social media platforms are constantly reinventing themselves to stay in the good graces of their users…and ahead of their competition. Anything from a new feature to new “terms and conditions” might affect the way kids use an app. Here are a few very practical – and very easy – ways to maintain a strong presence. Stay current on their updates/posts/pics. Monitor what their followers/friends are saying to them (or about them). 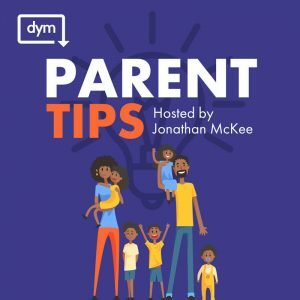 Provide them with helpful tools, like Jonathan McKee’s upcoming book, The Teen’s Guide to Social Media and Mobile Devices, that help kids think twice about the pics they send, the comments they post, and who they friend. Occasionally take the time to scroll through their feed – with them! – to give feedback, learn about their likes and interests, or just have fun. Remind them that they can always come to you with a problem…and prove it with your calm, grace-filled reactions. Be proactive in helping kids set boundaries for their social media use. Knowing that dangerous repercussions are just one mindless click away, we shouldn’t wait for problems to arise. Instead, we should anticipate the pitfalls associated with social media use and put some guardrails in place to prevent chaos. (Don’t we take similar precautions when it comes to their driving or their friends?) Design your own set of boundaries through conversations with your kids, but points to consider might include how much time is allowed on social media, in what settings, and with whom. The old saying is true: an ounce of prevention is worth a pound of cure. Social media is absolutely changing young people, but it doesn’t have to be negative. Nothing and no one is better poised to shape young people than the adults in their lives. Let’s use the influence we have! OPEN THE DOORS TO DISCUSSION ABOUT SOCIAL MEDIA WITH YOUR KIDS WITH JONATHAN McKEE’S HIGHLY PRAISED NEW BOOK, THE TEEN’S GUIDE TO SOCIAL MEDIA AND MOBILE DEVICES, AVAILABLE FOR PRE-SALE ON AMAZON NOW.